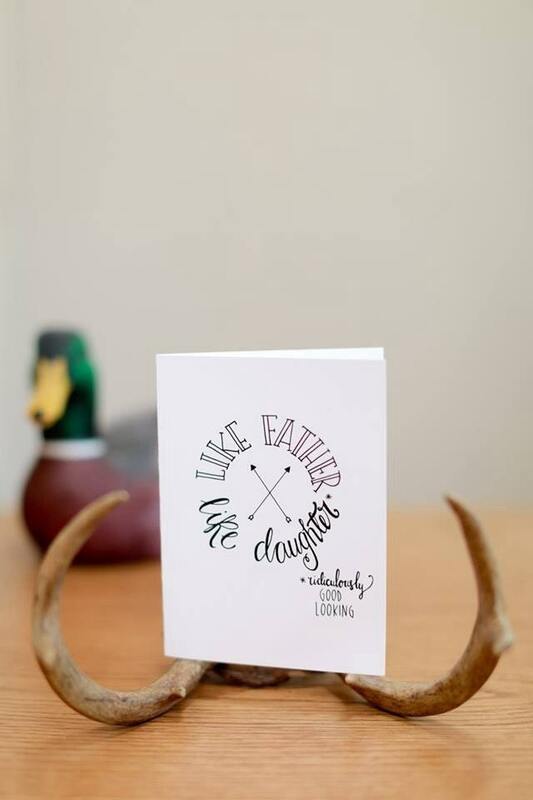 The perfect funny Father of the bride/Fathers's Day card for all of the daddy's girls out there! 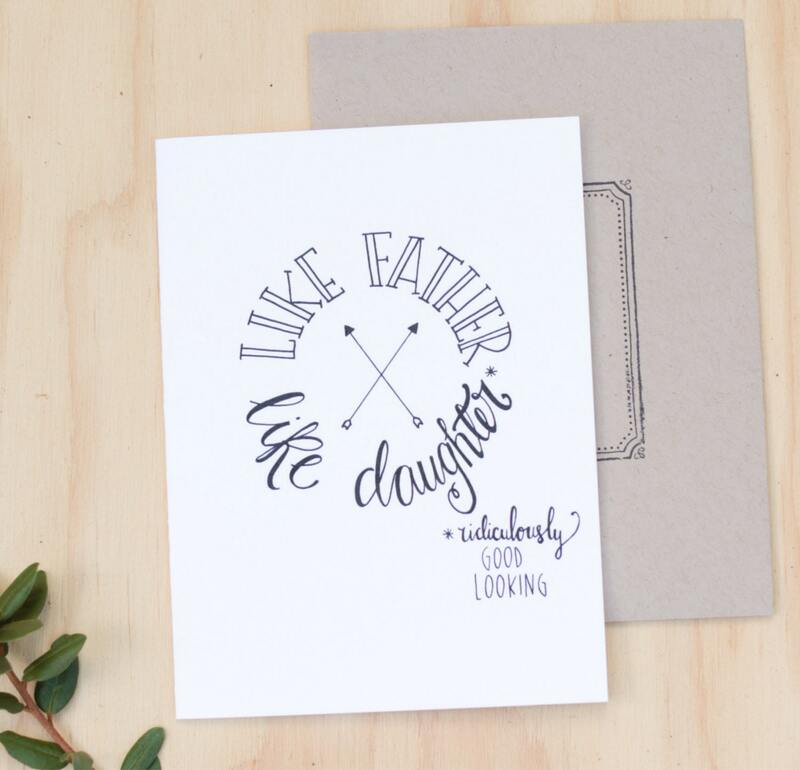 Hand lettered in my signature funky script, it reads 'like father like daughter *ridiculously good looking'. My dad LOVED it when I showed it to him! 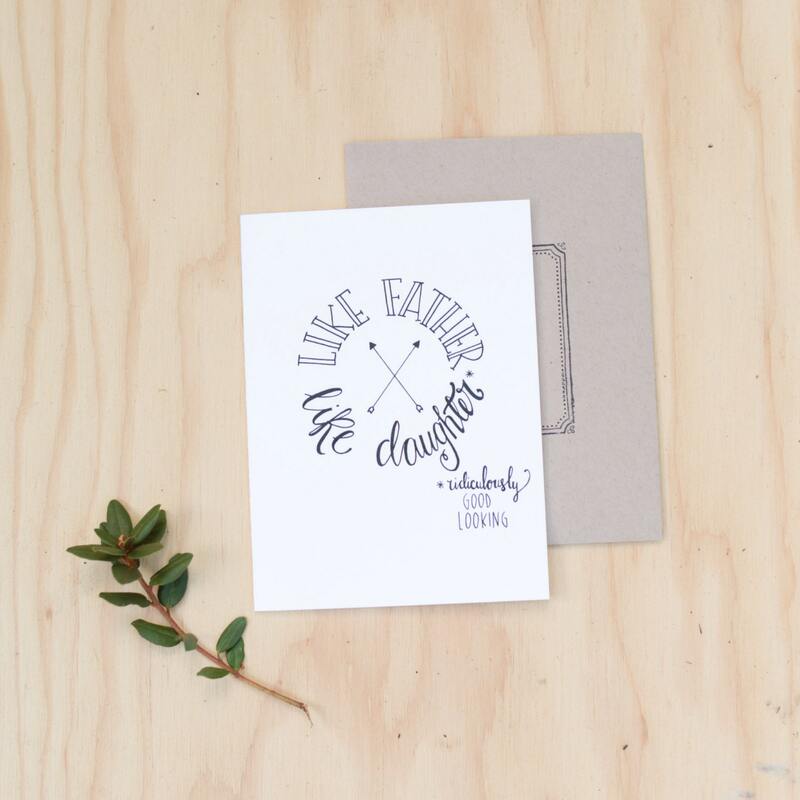 Professionally printed at a local print shop, A6 sized, and includes hand stamped white envelope. Blank inside to write your own sweet message! OR have me come up with something straight outta a Hallmark for you - message me for details!